It is with mixed emotions that I have returned to Walt Disney World. I am sure you will be as relieved to hear as I am to report that, through the use of my not inconsiderable magical powers, I have been able to place Minnie in a safe location. I have every reason to believe she will remain magically protected and safe until we locate my missing Apprentice and he can break what will remain of Maleficent’s unravelling spells. Which brings me to my Apprentice: despite your heroic efforts in the Studios and success in apprehending Maleficent even with Kuzco’s ineffective and egocentric leadership, Mickey still is missing. I am sure you will be happy and relieved to hear that not only will Kuzco not be returning to his leadership role in this investigation, he won’t be returning to DSI at all. When the Emperor heard that I was going to assume leadership of the investigation and the search for Mickey, he chose to return to Kuzcotopia immediately. Yes, you read that correctly. I already have assumed control of the investigation and the search for Mickey. I have spent the last 24 hours familiarizing myself with the ‘Homicide in Hollywood’ case file and reading the limited statements that Maleficent would provide. I do not believe Maleficent was working alone, and while I believe Mickey currently is alive, I am worried that he might not stay that way much longer and I am most anxious that this investigation resume immediately. I need all of you to return to Walt Disney World at your soonest convenience. Even if it isn’t convenient, I need you to return anyway. I have a few new ideas, which I will not put to paper in the unlikely event these missives are intercepted by unfriendly eyes. Upon receipt of this letter, please check back into the Boardwalk Innkeepers Club. A formal check in won’t be necessary and room assignments already have been made with the club concierge. Once you have arrived and checked in, please join me for a late dinner in Kouzzina at 9.00 pm. I wish all of you safe and swift journeys. For those of you who can sense it, don’t mind the transportation magic; it’s just a little charm to ensure all of you make it here safely and quickly. It might feel a little strange, but I assure you that it’s perfectly safe and will make your journey here that much faster. I will be patiently awaiting your arrival at the Boardwalk. Any inquiries or concerns that must be addressed prior to dinner can find me in the Steeplechase Suite. Host's Note: Upon reading the note, please have your detective make his/her way to the Boardwalk Inn, re-check in (remember you're concierge guests and a concierge will take you to the desk upstairs, check you in there, and then take you to your room), and then head over to Kouzzina. The end of the check in period will coincide with the start of dinner; anyone who hasn't checked in at that time will become a VIP Detective. Diablo is coaching one of the more intelligent Goons in how to manage the Mountain while Maleficent is gone, when what looks like a bird made of paper flies in through a window. It unfolds to hover before Diablo, revealing itself as a magical note from Yensid. Oh of course, the mouse! Diablo caws some last hasty instructions to the goons and flies off to the hotel mentioned in the note. He flutters to a landing on the concierge desk and taps his beak politely on the desk to get the concierge's attention. URSULA: "Scar...how did you get me out of the situation in Tokyo?" 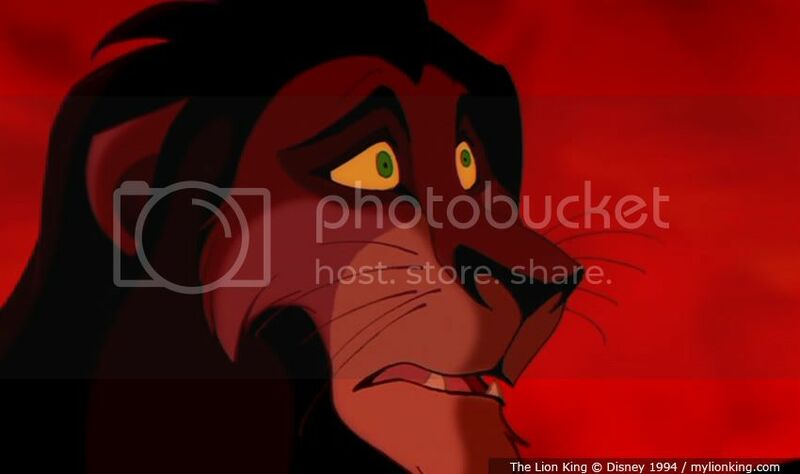 SCAR: "Well my dear. First I gave you an alibi and said that you were with me. This is not quite true, but you are always with me in my heart. Second I promised that in the future that you and I would return to solve the case that is pending and ongoing in Tokyo Disney Resort." SCAR: "Now my dear about this note from Yensid...me personally I could care less if the mouse is ever found, but you and I make a great team. Why waste a good thing. Also these other imbeciles couldn't find their own nose with a mirror without us." Jim is visiting his mother at the old inn, taking a little break from a life of work after the Academy. He is just sitting down to his first home-cooked meal in ages when there is sharp knock at the door. "Oh no, don't get up." He smiles at his mother. "I'll see who it is." He opens the door, expecting to see a tired traveler but instead there is no one. He steps outside and glances around, but it seems whoever had been knocking has vanished into thin air. As he turns around to head back inside, he sees an envelope stuck to the door. He opens it up and reads the letter with a slightly furrowed brow. "So much for a vacation..." he mutters to himself, but secretly he is excited. Work these days isn't exactly what he thought it would be, and if he goes he is bound to see some old friends. Jim heads inside and explains the situation to his mother as he swallows his dinner. Since he hasn't unpacked yet, there is not much else to do but kiss his mother on the cheek and head out the door. He looks at his fancy work vehicle for a moment and then shakes his head slightly. He heads to the small wooden building behind the inn and smiles as he sees the old solar surfer. Marie glanced up from her letter. "Mama, look!" She proudly pranced past Toulouse and Berlioz with her invitation firmly grasped in her jaw. Marie stared up at the hotel doors. She paused for a moment to fluff up her fur. She was a lady, after all. Reclining on a pile of Satin pillows, Abu sighs and expertly flips a couple peeled grapes into his mouth. Sinking further into the pillows, his eyes close and drifts off. His eyes flicker under closed lids as memories of past investigations come to mind. A frown appears along with worry lines. Abu stirs restlessly, yawns and tries to drift off again but something seems to be keeping him up lately. An eye pops open and he closes it. Then his other eye pops open. He reached up and pulls his eyelid down, chittering angrily. The first eye pops open yet again but this time Abu notices a servent quietly leaving the room and a glowing envelope on a pillow nearby. Both curious and apprehensive Abu glares with one eye and the envelope. His other eye suddenly pops open and Abu's curiosity wins over the apprehansion. Abu reaches for the envelope and as soon as he touches it the envelope comes to life. Abu dives under the pillows expecting the worst. An unfamiliar voice begings to speak. It is a male voice and introduces himself as Yensid and that he is requesting Abut to come out of retirement to help solve a potential murder in the US, specifically he is being asked to join the current team assembled at the Boardwalk hotel. He then goes on to say that the letter will last long enough to guide Abu to the hotel and is now awaiting Abu's decision. The voice has attracted the attention of someone other than Abu. Carpet is hovering nearby and makes questioning motions to Abu once the voice pauses. Abu reluctantly shakes his head in the affirmative and reached under the pillows to pull out his old kit. Hopping onto Carpet, Abu reaches for the letter again. Upon touching it, the voice resumes and says to follow him as the letter flies out the window. Abu and carpet follow. Many hours later, a very hungry Abu sees the letter starting to descend towards a large white bulding. The duo continue to follow the letter to the front doors. At the front doors, the voice starts again and instructs them to check in and go to Kouzzina. The letter then "poofs". Abu lights up at the mention of food as usual and he scampers off to check in as quickly as he can. Returning quickly, Abu sees a rather sad looking carpet waiting. Abu says "sohwy" and motions to carpet that he has an idea and for carpet to follow him. They both head over to Kouzzina. Like every other morning, Mater gathered everyone at Radiator Springs for the usual storytelling at Flo's Cafe. MATER: "You know, I once knew this girl Doreen. Good-looking girl. Looked just like a Jaguar, only she was a truck!..." As Mater began his story, Finn McMissile landed behind Mater, abruptly interrupted, and called Mater to the side. Finn, busy as ever in ongoing matters in Europe, was unable to handle a recent matter that came up at Walt Disney World, and decided to recruit Sir Tow Mater, his best Tow Truck Detective, to tend to the situation. After briefly informing Mater of the recent Homicide at Hollywood (Studios), he handed Mater an invitation sent from Yensid to help with the investigation. Mater turns to Finn McMissile. MATER: "You get to work with Yensid? I'd give my left two lug nuts for that!!" Finn McMissile clarifies Mater's misunderstanding, and informs Mater that it is in fact he who will be investigating this situation on behalf of Finn McMissile. Mater adjusts his side mirrors, while exclaiming: "What am I standing here for, then? Let's git er done! 'Puter, active my rockets!" MATER (Quoting the Radiator Springs gang): "Later, Mater! Now that's funny right there!!" Mater arrives at the Boardwalk Innkeepers Club and gazes in amazement! MATER: "Boy I'm happier than a tornado in a trailer park!!" Mater approaches the concierge: "I'm here to see that Jacksid fella!" The concierge turns his head sideways, in confusion. Mater proceeds to hand him the invitation. The concierge quickly recovers, and instructs Mater to follow him. The concierge attempts to grab Mater's liters, to which Mater exclaims: "I got it! 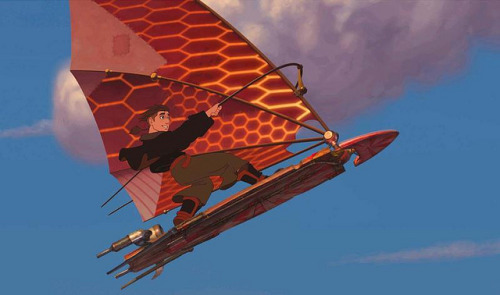 I'm a precision instrument of speed and aeromatics!" -- Mater swings his tow line, accurately grabbing all the liters, and follows the concierge to his room. Mater, standing in solitude in his room, realizes that he is no longer in Radiator Springs. He gazes at the clock, and rushes out of his room towards Kouzzina. MATER (to self): "Gonna be late, gotta go!" As the day at Pixie Hollow was coming to an end, Vidia made her way her to her sour plum tree, which she calls home. As she settled down, a piece of paper (pixie-sized) flew in through the door. Vidia grabbed the paper and sat down as she read it to herself. "Ha! Looks like Tinker Bell isn't the only famous fairy here in Pixie Hollow!" she said as she finished the note. She packed her bag, sprinkled some pixie dust on it to make to it lighter, and flew out of Pixie Hollow without saying goodbye to anyone. "Why is it any of their business where I am? Besides, they'll be hearing about me soon enough when I've solved the case." But as she looked back at the Home Tree and the rest of Pixie Hollow, she thought to herself, "Well, maybe I'll write to them... but only if I have time! ",and she flew away, faster than any other fairy would ever be able to. When she arrived at the Boardwalk Inn, she was taken upstairs to the concierge desk. "We've been expecting you, Miss Vidia! We are very delighted to have another fairy here, after all, Tinker Bell was delightful to have!" Vidia scoffed and rolled her eyes at the mention of her friend's (although Vidia refuses to call her that) name. "I didn't realize this investigation was going to be all about her." she said to the concierge, but all he heard was the jingling of little bells. He giggled a little, and took Vidia to her room. Vidia explored her new room for a bit, but then remembered that she had a dinner to go to! She quickly flew out of her room and headed toward Kouzzina. Si and Am stretched, they had just awoken from a long nap. Si spotted an piece a paper, Am extended a single razor sharp claw and brought the letter close enough to read. "A trip to Epcot" Si purred, "the possibilities are endless" Am agreed. Tails twinned, they started the journey. "...Now where are the others? This is where the League of Villainous Evildoers Maniacally United for Frightening Investments in Naughtiness is meeting..isn't it?" *Walking up to desk area he is spotted by the concierge team. "Can I help you sir? You must be here with Yensid's group. Here is your room key card and badge. Please make your way to Kouzzina at your convenience for the meeting." No..that makes no sense. What does DETECTIVE mean? I liked L.O.V.E.M.U.F.F.I.N. better." As Indiana Jones came back from his latest "dig", he sees a letter from Yensid. After reading the letter he leaves again instantly to go to WDW and the Boardwalk Inn. When Indy gets there he asks the concierge where to go. "excuse me ma'am, I am with Yensid's group and was wondering where to go." "Of course! Here is your key and info, don't forget about your dinner at Kouzzina at nine." "Attention, the arcade is now closed"
Finally! thought Vanellope. Although she loved racing, she also loved hanging out with her best friend, Wreck-it Ralph, which she could only do after hours. Sometimes Felix and Calhoun would hang out with them too. Vanellope congratulated the other racers on a great day, then started to head towards Game Central Station, when a piece of paper came floating towards her. She reached out and grabbed it, then began reading it when she saw that it was addressed to her. "Sweet mother of monkey milk!" she exclaimed, then continued heading towards Game Central Station as fast as she could. She wanted Ralph to see this. Vanellope had arrived at the Boardwalk Innkeeper's Club and was making her way inside to check in. When she had shown Ralph the letter, he was really hesitant about her going. He thought it was too dangerous for her to go alone, but finally Calhoun managed to convince him that she was going to be fine. After they exchanged their goodbyes, Vanellope left and made her way to the inn mentioned in the letter. Luckily for her, Litwack, the arcade owner, got an emergency call and had to close the arcade for a few days as he was unable to get anyone to run it on such short notice. So, she could be gone and not have to worry about her game getting unplugged. She walked up to the desk and got the concierge's attention. "Hi, my name's Vanellope and I'm supposed to check in here." She handed him the letter. "Yes, we have been expecting you," he replied. The concierge showed Vanellope to her room, then made his way back to the desk. Vanellope dropped off her belongings, then headed to Kouzzina where she was supposed to meet Yensid and the others. Dug the dog sits wagging his tail politely as a passerby reads the letter to him. It took a moment for the person to get over the oddness of a talking dog, and the person is obviously feeling a bit out of place as they read aloud to a dog. Once finished, Dug takes the letter gengerly in his teeth thanks the man and bounds off in the direction of the Hotel. "Oh boy, a new adventure. i hope I get the same wonderful hotel room, it had the most comfy of beds and yummy-est of treats!" Once there he gets himself checked in and taken to his room. Leaving the note on the table, he presses a paw to the digital clock, which promptly says the time aloud for him. After a quick visit to the fire hydrant, and a drink from the water bowl, he bounds out the door and back down the elevator. His Random comments to fellow guests take people by surprise all along the way, he leaves a wake of baffled humans behind who never thought they would hear a dog talk. "Hello! I have just met you and I think I like you!" He says to the hostess at the Kouzzina. "Can you please direct me to the other de-tect-ives, I am here to work with?" Once pointed the correct direction by the stunned hostess, he trots off to meet everyone. Upon arrival to the small group that has gathered he begins sniffing around. Not many of those he knew from last time have arrived as yet. A quick woof and a tail wag is directed at the Strange Doctor whom he recalls from the last adventure. Then he moves on. His nose pauses at the legs of a tall man with a crooked smile, "Hello there mister, you smell like dirt and old things, I have just met you and I think I like you, can we be friends?" Before the startled archaeologist can answer the dog moves on, his nose working overtime. The small golden retriever mix pauses next to a petite black haired girl, "Oh you smell like sugar! I really think I like you! Can we be friends also? Oh please oh please?" Having satisfied his own mental checklist of greetings, he hops into a chair between the archaeologist and the sugar girl to wait. * Arriving on WDW property and upon entering the Boardwalk Hotel, Scar and Ursula are met by the concierge team and lead to their seperate rooms. Scar is glad to see that his soulmate's room is just down the hall. That way he can be nearby to protect her. Not that a female like Ursula would need protecting....that's what he likes best about her. A few minutes after entering his room the phone rings. SCAR...."Hello. OH hi Ursula.....Hmmm....What do I think you should wear?......Hmmm..How about that purple off the shoulder dress I like so much....Great...Ok I'll see you shortly in the hall and we can go down to the restaurant together." "Hmmmmfff....Captain...Captain? ...I remember the days that this said chief." Si and Am awoke from their nap with a long stretch. Greatly refreshed they decided it was time for dinner. As they left their room, Si sauntered down the left side of the hallway while Am took the right side. They paused at every door, whiskers twitching. It would be very useful to know in which room everyone was staying. Meeting up at the elevator, Si exclaimed "I smelled dog" Am replied "I smelled a cat". They looked at each other thinking this might be more fun than they had originally thought. OOC: Just want to make sure I am not missing anything: do we have a minimum post count for this time frame? Having returned from his adventure some time ago, Merlin has resumed mentoring the young lad who has become king. This day, Merlin has turned himself and Wart. . . Arthur. . into burrowing owls, in order to teach the importance of incorporating intelligence into a fighting strategy. "Now boy," Merlin continues, "one must remember - have a lookout point" . . and the pair fly to a small perch nearby. "but also a safe, retreat point in case of emergencies or emminent defeat. . " Merlin hops off the post and back into a hole in the ground. "Even if not it's intended purpose - always have a safe place. It does not matter how many times one must go between the two, to go to and fro, to stop and go. . .Oh my, I'm repeating myself again, aren't I? Anyways - no matter. What I mean to say is, always be prepared. No wait, that's not it either - useful information though. Life saving at times, a very good foundation to grow upon. Now where was I?" Arthur chuckles slightly at his mentor's absent-mindedness, but knows that Merlin is one of the greatest wizards of all time, and imagines that is what leads to some of his quirks and confusion at times. "Merlin!! Where are you you cantankerous buffoon?" Archimedes calls out from above. "Letter for you, with magic undertones. Knocked me right off the perch at home. Had a mind to rip it to shreds for being so rude." Archimedes spots the pair and drops the letter. "Good riddance!" Merlin transforms both himself and Arthur back to human form, and reads the letter. Recalling the chaos that Maleficent caused, and armed with the knowledge that this was not over yet, Merlin explained to the boy he must go. Assuring that Archimedes would stay with Arthur, Merlin conjured up his trusty bag, packing the contents of his house with a simple "higitus figitus. . migitus mum. . prestidigitorium." Having done this before, all his belongings filed neatly into his sack - and for once without incident from the impervious sugar bowl. Merlin was impressed - perhaps it had finally learned its lesson? Merlin arrived at the concierge desk at the Boardwalk Inn, and was shown to his room. "I must say, always the most respectable of lodgings here. But alas, it does not feel like home." With that, he opens his bag, redecorating the room in a manner he is more accustomed to. Books and papers scatter about, potions lie here and there, and the room is generally in a state of disarray. The last item out of his bag, the sugar bowl. Merlin eyes the piece of servingware approvingly, which is met by a happy little bounce. "Hehehe . . so you CAN learn. Good." Packing up his DFI kit, and a few extra things, Merlin sets off for the restaurant - curious as to who all has gathered already and who else shall gather at the table. SCAR:" My dear..thank you for saving me a seat. I am sorry I missed you in the hall." When Vanellope first arrived at Kouzzina, she had to admit that she was a little nervous. But now, she could barely contain her excitement. A few minutes after she got there, a big yellow dog that could talk came up and asked if he could be friends with her. He was too cute, so she couldn't say no. She then went to find a table to sit at. The yellow dog came and sat next to her, along with someone who looked like an archeologist. A few minutes later, a lady who looked like she was half woman, half octopus came and sat next to her as well. Then, a lion with a black mane came and sat down as well. Vanellope looked around the room, taking in everyone who was there and wondering who else was going to show up. Host's Note: I apologize for the delay in resuming the game. I've not been able to get online with my laptop (have I mentioned that I hate U-Verse) and I haven't been able to post on my mobile devices (every time I tried, I've encountered a time-out error). Now that I have a new router, let's hope it works ... and on with the game! Host's Note: You can find the menu for Kouzzina here: http://allears.net/menu/menu_kouzd.htm so when the server comes by to take your characters' orders, you can have your character order something actually from the menu. OOC: There is no minimum post count for the check in period. All you need to do is post once to check in. OOC: You were so close (and since I was having trouble posting all day myself), I'll allow the post (this one time) and keep Ursula as a regular player. Vidia examined the other detectives from afar. Some pointy-nosed pharmacist, a little girl with dirty hair, a dog, and some hybrid animal couple. "The people here are even weirder then some of the fairies in Pixie Hollow", she said to herself. Vidia does not make friends easily, so for now, she just sits back a watches the others. Once everyone arrived, a cast member named Christina guided the group to their table and assured them that a server would be over shortly to take their order. When the server arrived, Vidia ordered the House Salad, as she would be unable to even make a dent in any other dish with her pixie-sized stomach. "you there" hiss Si. "I'll have the Whole Fish" Am added "and I'll take the Fisherman's Stew"
"and a saucer of cream for both of us"
"excellent choice" agreed the server writing it down before turning their attention to the next guest. As Ursula enters the room and sits across from him at the table he beomes excited. "Now we are talking. I was beginning to worry that I was in the wrong place. Both evil and beautiful. That reminds me of a story from my home country....."
Doof is cut off as Scar enters the room and proceeds to sit by Ursula.